Freediver and reef shark at a hurricane damaged pier. Mighty Manta Ray, mini cleaner wrasse. Cleaning station, Honolua Bay Marine Preserve, Maui, Hawaii. Sea Turtles and a Manta. 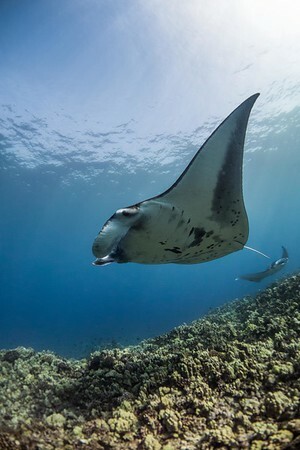 A backlit shot of a manta ray making the rounds at the cleaning station. 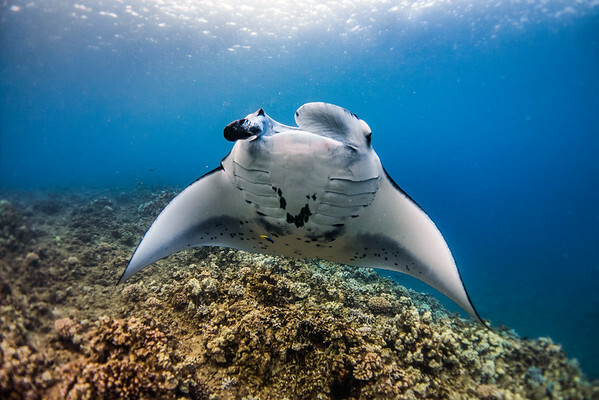 A pair of manta rays slowly circle as they get cleaned. 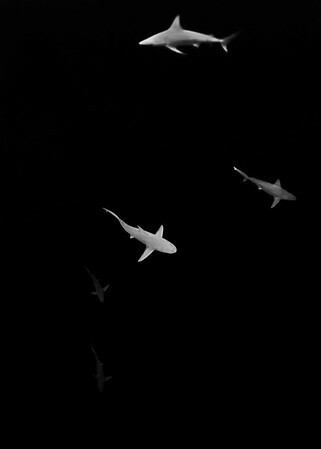 Sandbar shark aggregation, North Shore Oahu. Usually during mating season a female spotted eagle ray is pursued by one or more males and swims near the surface to avoid them. Spotted eagle ray mating can be fairly quick and rough with a lot of chasing beforehand. 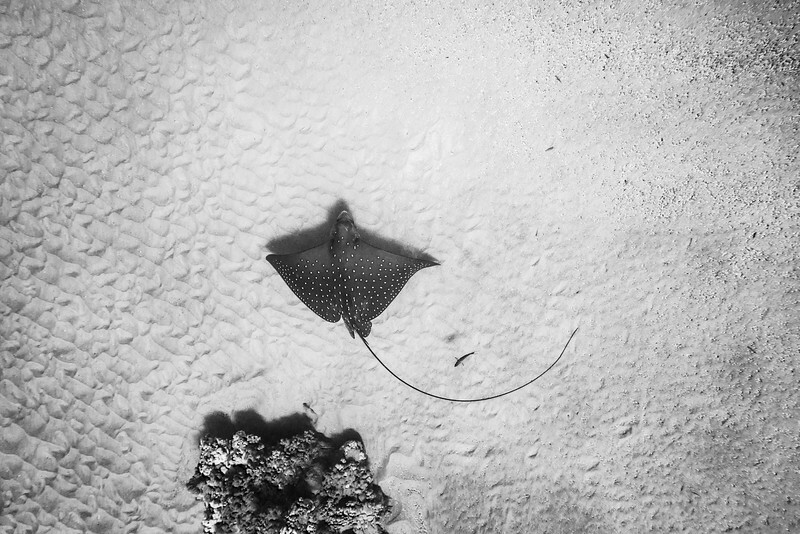 An eagle ray swims near the surface reflecting some beauty back. 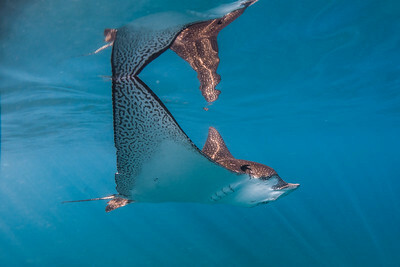 A spotted Eagle Ray glides near the surface on a glassy morning giving an amazing reflection. 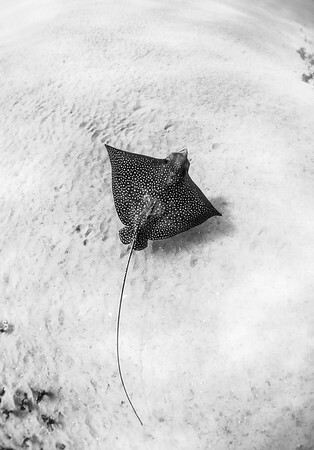 A spotted eagle ray sways its wings to glide along as I barely miss it tail. This one must have been playing in the sand and it is missing all of its tail. Visibility was particularly good that day. This larger ray had what looked like poorly drawn circles instead of spots. Pretty cool. A spotted eagle ray hunting at 40 feet with a saddle wrasse in tow.